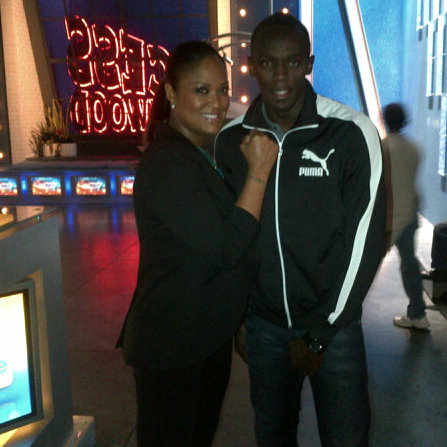 CHAMPS UNITE: Bolt poses with the boxer Laila Ali (daughter of Muhammad Ali) at the NBC studios. No rest for the talented. On Tuesday, The World's Fastest Man flew to the States to conduct a clinic and share tips with aspiring athletes of the Mount San Antonio College in California. But the bonafide highlight of Bolt's overseas trip had to be his visit to the lavish studios of NBC for a taping of Access Hollywood Live, where he vibed with affable hosts Billy Bush and Kit Hoover. The Puma spokesman, who will be honoured by the University of the West Indies with an honorary doctor of laws degree (LLD) in November, was in for a real surprise when Bush later challenged him a to a..... speed-walking race! I SHALL SING: Chantal 'Tash' Lamont gets a scare. 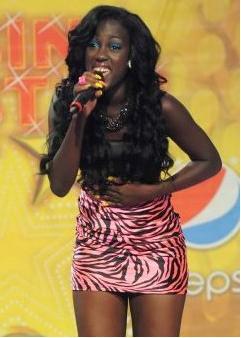 Did gunmen attempt to rob Rising Stars winner, Tash, at her home in Yallah’s, St. Thomas earlier this week? That appears to be so true. Reports have surfaced that not even a day after her win on the televised talent show Sunday night, the 17-year-old singer was at home with her folks when gunmen were spotted circling her house. Lordy. Alert neighbours reportedly raised an alarm, and the police were summoned, sending the suspicious-looking characters scampering in different directions. In the meantime, Tash wants the curious folks out there to know that she may be a millionaire now, but it’s the useless cardboard cheque that’s actually in her house! 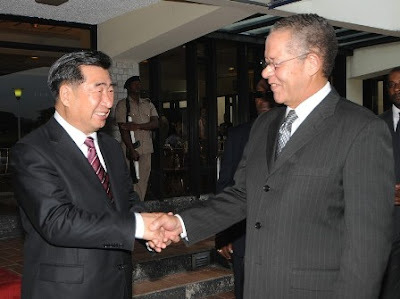 I RESIGN: Golding (right), with China's Hui Liaugyu. “And I Am Telling You I Am Going” is PM Bruce Golding’s new theme song, as the embattled JLP boss has confirmed to his party that his recently revealed decision to step down as leader and Prime Minister in the coming months is final. And no pleading, wailing and gnashing of teeth will sway him from his decision. Now, the million-dollar question remains: who will step up to fill Mr. Golding’s size 7 shoes? The lineup: Audley Shaw, Chris Tufton, Ken Baugh, Andrew Holness..... or Everald Warmington. Labels: Career Moves, PM Bruce Golding, Politicking, Seriously? CAREER WOMAN: Beavers channels her alter ego Hope Sinclair. COLOUR ME RHYTHMIC: The singer drops a first-rate new mixtape. One thing that has always struck me about Cherine is the rich layering and unpredictable contours that continue to jointly define her musical output. Although the dancehall-soul pioneer has earned renown for appealingly groovy radio hits, more than ever she is demonstrating that she’s a woman now and can deliver a song hard and heavy like her most versatile contemporaries in the industry. After years of swallowing a lot of good-girl pills, Cherine is saying exactly what’s on her mind. And this newfound religion is stamped all over her stellar and varied new mixtape, JA 9.25, which shares the date of her birth. Packing 15 tracks, the release is equal parts mesmerizing alternative reggae and scorching, if melodious, dancehall fire. Among the most arresting cuts is the forceful “We Don’t Stop,” which usually gets a terrific live performance from the singer. And staying on that hard-hitting trend, she calls out the sheep in wolves’ clothing on “Fade 2 Black,” which boasts some solid production work. The acoustic gem “How We Living,” meanwhile, allows Cherine to cast a compassionate eye over the heart-rending socio-economic landscape with sympathetic lyrics. "Eagles and Doves" also has its heartfelt moments. Popular radio star Miss Kitty has always been outspoken on issues that hit close to home, but never is she more vocally passionate than when airing her concerns over the shabby treatment of plus-sized women like her, whom she believes have been largely ignored by mainstream media and culture for far too long in favour of skinny size twos. And she’s had enough. The fluffy queenpin makes ample use of the platform of the latest issue of Buzzz Magazine to voice her concerns. Do you agree with Miss Kitty? THE MAN IN BLACK: Information minister Daryl Vaz is seen here among several government employees participating in a yoga session at Jamaica House last Friday. The session was an initiative of Infotech Caribbean Limited and Shakti Yoga Centre in observance of International Yoga Week. 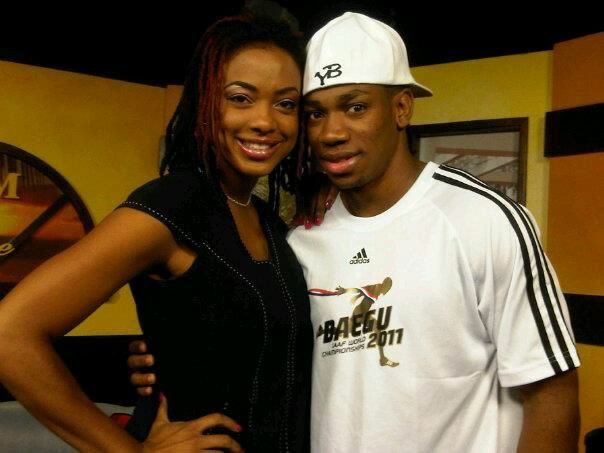 EMBRACEABLE YOU: CVM at Sunrise co-host (and October's cover girl) Regina Beavers gets close to star sprinter Yohan Blake, who was a special guest on the morning-time show last week. Cute pic! FRIENDLY DUEL: Fierce competitors they are, but Latty J (left) and Tash played nice during a joint performance on the Rising Stars grand season finale on Sunday night. Loving Latty's stunning blond 'do. Get it, girls! UP IN THE AIR: Nothing tastes better than sweet victory, and St. Thomas native Chantal 'Tash' Lamont is living proof. Congrats to the talented 17-year-old singer (and new millionaire! ), who walked away as the winner of Rising Stars' eighth season last Sunday night. 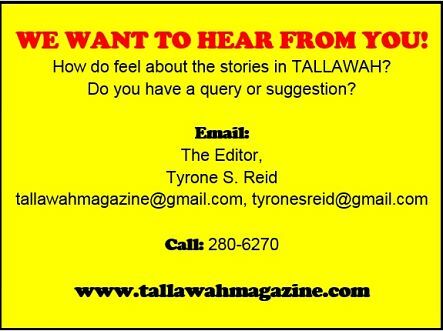 TALLAWAH was secretly rooting for the foxy diva Latty J -- but Tash is just as deserving of the win. IN BOLT'S CORNER: The World's Fastest Man went island-hopping with sponsors Digicel over the weekend, and the sprint superstar's eventful voyage included a stopover in Guadeloupe, where he caught up with some of his French-speaking supporters. Fun times. 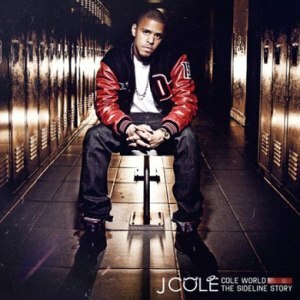 SITTING PRETTY: "I know love exists because I have it now." The eye-catching, multi-coloured walls inside the wonderfully ventilated studios of CVM Television go perfectly with Regina Beavers’ lovely three-piece outfit and her mood. Infectiously upbeat and resembling a fresh and tasty confection, she is a sight for sore eyes on this postcard-perfect Tuesday afternoon. The pep in her step and vivacious energy in her speech suggest a woman in a good place – perhaps in the physical and emotional sense. These days, Beavers’ good fortunate is not limited to her love life. Professionally – and artistically – things are also looking up, as she’s set to make her commercial stage debut as the female lead in an upcoming revival of the award-winning 2003 drama A Gift for Mom, adding to her list of acting credits that also include small parts in the Jamaican indie films One Love and the yet-to-be-released Goathead. TRUE COLOURS: Teacha's Pet cast members let it all hang out. I know two things about Teacha’s Pet, the new looking-for-love reality series from dancehall’s controversy king, Adidja ‘Vybz Kartel’ Palmer, which airs Fridays at 10:00 pm on CVM; first, that Jamaicans will see it in droves; second, that it’s not worthy of us. Taking cues from some of cable television’s widely watched shows of its kind and featuring some 20 relatively young women seeking to embed themselves in the entertainer’s affections, Vybz Kartel and his production team seem bent on presenting a programme that’s mired in activities that are not only distasteful and shocking, but fuel a dangerous fallacy that love and romance is all fun and games. That said, there are those who will readily identify with the shenanigans onscreen, seeing pieces of themselves in some of the women (who were culled from locations as disparate as Brooklyn, Chicago, Australia and Salem, St. James) and find humour in the scandalous charades. But as the opening episode clearly demonstrates, Teacha’s Pet is an ill-conceived mess that boils down to a sad depiction (the violent fighting, the crass dialogue...) of women, Black and non-Black. > Make commitments – and then practise keeping your word. The greatest dreams will not be accomplished without discipline and daily effort - and that process brings joy,” says the Reverend A.R. Bernard of NYC’s Christian Cultural Centre. > End each day by recalling three moments that made you feel grateful – anything from a gorgeous sunrise to a loved one’s smile. Practise sitting in quiet contemplation or prayer, recommends Valorie Burton, life coach and author of Listen to Your Heart (WaterBrook Press). > Be intentional in building strong bonds with other people. “Social relationships are a powerful predictor of happiness, much more so than money,” writes Daniel Gilbert in Stumbling on Happiness (Vintage). 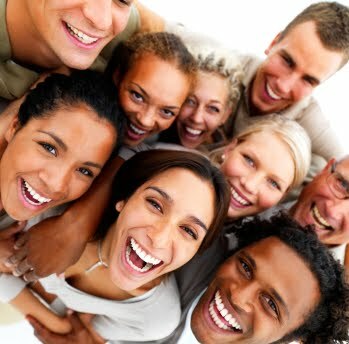 Indeed, a 2002 University of Illinois study shows that participants who reported the highest level of happiness also reported the strongest ties to friends and family. 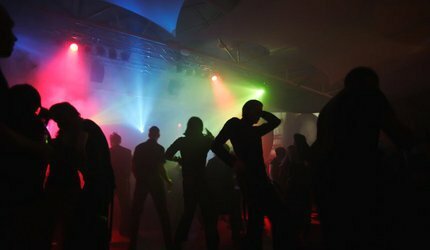 > A 2006 Pew Research report revealed that those who attend weekly church services – or any faith-based events – indicate that they feel much happier than those who attend once a month or less. > Experts agree that holding on to anger and resentment is an emotional weight that robs you of your joy. Let it go. “Happiness is spiritual peace – peace with God, with yourself and with others,” explains Reverend Bernard. In similar ways, generosity makes us feel as if we’re making a difference by creating an environment of connection and love. > We need positive interactions for every negative, according to psychologist John Gottman, in order for us to consider a relationship a happy one. The point is: Surround yourself with people who support and encourage you, and give a wide berth to those who criticize and deplete you. 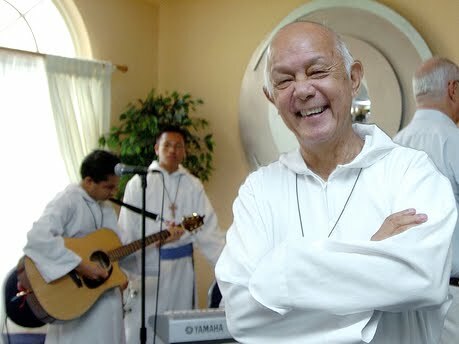 IN THE SPIRIT: Father HoLung laughs it up. Each year, as awards season draws nigh, the offerings in local theatre take on an increasingly fascinating tone, characterized by a surfing of genres from intense drama and witty comedy to delightful musical. As the last quarter dawns, it seems safe to conclude that theatergoers are in for much of the same in 2011. October alone, buoyed by a quartet of hot-ticket productions, provides reason for audiences to rejoice. Leading the fantastic four is the buzz-worthy gospel drama God’s Way, written and directed by Dahlia Harris (Judgement) and starring Gracia Thompson, who heads a cast that also includes Trudy Campbell, Sabrena McDonald and Ainsley Whyte. With a foundation rooted in a recognizable mix of spirituality and struggle, the play should attract sizeable crowds for its nearly two-month run at the Theatre Place. Those in the market for a high-energy production that combines the dramatic word with rousing music, should make a date to see Acts of the Apostles, the latest from Father HoLung & Friends, which runs at the National Arena for two weekends, starting Oct. 1. Also returning to the theatrical marketplace, playwright and director David Tulloch (White Witch) brings together a reputable batch of stage stars for the dramedy If Walls Could Talk, set for a stint at the Pantry until mid-Nov. Many will be thrilled to witness veteran actress Rosie Murray back in action (after a too-long self-imposed hiatus) alongside Chris McFarlane and Winston ‘Bello’ Bell, fresh from the success of the cinematic release Ghett’a Life. Finally, A Gift For Mom, Basil Dawkins’ award-winning examination of work and love, is slated to enjoy a brief revival at the Little Theatre with a cast comprising Alwyn Scott, Ruth HoShing and TALLAWAH cover star Regina Beavers. Former beauty queen Marsha-Ann Hay continues to lengthen her list of acting creds with a meaty role in the eagerly awaited David Tulloch production, If Walls Could Talk. Hay, who has appeared in such acclaimed stage pieces as The University Players’ Appropriate Behaviour, is yet to land that captivating breakout role to nudge her into the pantheon of genuinely emerging Jamaican actresses to watch. This time around, many are saying she might just hit the jackpot. BLACK GOLD: "Trespass" by Albert Chong. Steeped in nostalgia and fueled by a meditation on identity, family and human evolution, a new career retrospective at the Mutual Gallery takes viewers deep into the world of Albert Chong. Testifying to the profound eye and visual style of Chong, a Jamaican-born artist who makes a living as an educator at the University Colorado at Boulder, the exhibition offers a range of spellbinding images – unforgettable photos and conversation-starting installations – that challenge one to ponder issues rooted in race, gender and class. At its core though, Chong’s work, which spans some 30-odd years, compellingly captures his own journey of self and family history. Yet Chong’s gaze is far from limited to random people and places, however familiar. Over the course of his career, he has also explored themes as riveting as human civilization, mass extinction and colonialism. 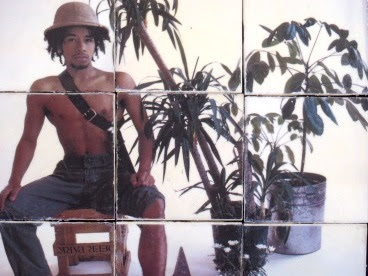 Among his most provocative and memorable creations to emerge from this phase is his 1979 piece “Self-Portrait of the Artist as a Victim of Colonial Mentality,” which depicts a shirtless Chong as a native surrounded by foliage. Whatever his message, its clearly enveloped in the heart and mind concerns he has for his homeland. Still, by his own admission, Chong, who is of African and Chinese heritage, finds joy and real fulfillment in the ordinary. “I’ve always had a fascination with objects,” he remarks, citing his penchant for heavy use of the tiling technique and his habit of finding inspiration in cinema. “Sometimes I’m watching a movie and I’ll pause the frame and take a photo of an object that grabs my attention and then look for something from nature to combine it with.” As always, the result is an image that’s nothing short of unforgettable. PLACE TO UNWIND: A new campus hotspot opens at Mona. “We pretty much realized that this place has a lot of potential to become a great sports bar and grill with lots of offerings,” says Ibrahim Konteh, half of the vibrant entrepreneurial duo behind the The Spot, the latest hangout spot on the UWI Mona Campus. Though the location of The Spot has formed part of the campus’ Students’ Union from the start, Konteh and business partner-in-crime Jason McLeish (the brains behind Jamrock Entertainment and former UWI guild execs) are taking a meticulous approach to restoring the place. SINGIN' AND SWINGIN': Bennett leads an all-star lineup. 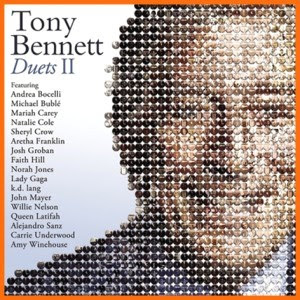 Tony Bennett may be 85 years old, but age ain’t on his page if his new collaborative album, Duets II, is something to go by. Wonderfully appealing as ever, Bennett laces his music with regular spurts of exuberance and consistently impeccable phrasing befitting the legendary status of this iconic singer. In celebration of the milestone of Bennett’s 85th, Duets II brings together some of music’s biggest contemporary names to share billing on what is a scintillating follow-up to 2006’s multi-platinum Duets: An American Classic, which picked up three Grammys. REGGAE & DANCEHALL: To serve as the appetizer for her forthcoming as-yet-untitled full-length debut, singer Cherine releases the mixtape JA 9.25 (the date of her birth), which features a mix of her current radio anthems and new hits waiting to be discovered. Meanwhile, fans of dancehall vixen Ce’Cile are dying to sample the offerings of her latest release, Jamaicanization, spiked with a signature blend of sass and truth-telling. And fresh from the critical success of his recently-released mixtape, Konshens now turns his attention to his highly anticipated studio effort, Mental Maintenance, which should pick up where the Sextape left off.